Ok. Answering my own question. I did this way. And I got the output I want. You can use GSA.read.gmt function from GSA package. The following code can be used to convert the file to a dataframe. Just ignore the warnings. Not the answer you're looking for? Browse other questions tagged r file-formats format-conversion gsea conversion or ask your own question. 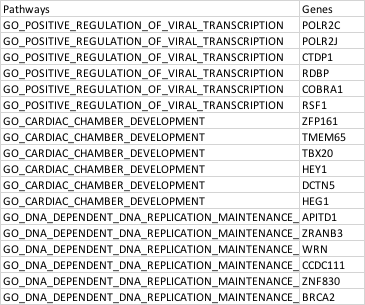 How to find correlation between two specific genes in same dataset?